PUB group JD Wetherspoon has attributed a dip in profits during its most recent trading period to rising costs. Announcing preliminary results for the 26 weeks to January 27, the company reported a 7.1% increase in revenue (to £889.6 million) and a 6.3% increase in like-for-like sales. However, pre-tax profits dropped 18.9% to £50.3m, with operating profit down 14.2% to £63.5m. In his chairman’s statement, Tim Martin attributed the lower profits to increases in costs including labour (an increase of £33m), repairs (up £3.7m), utilities (up £2.5m), interest (up £3.3m) and depreciation (up £2.4m). 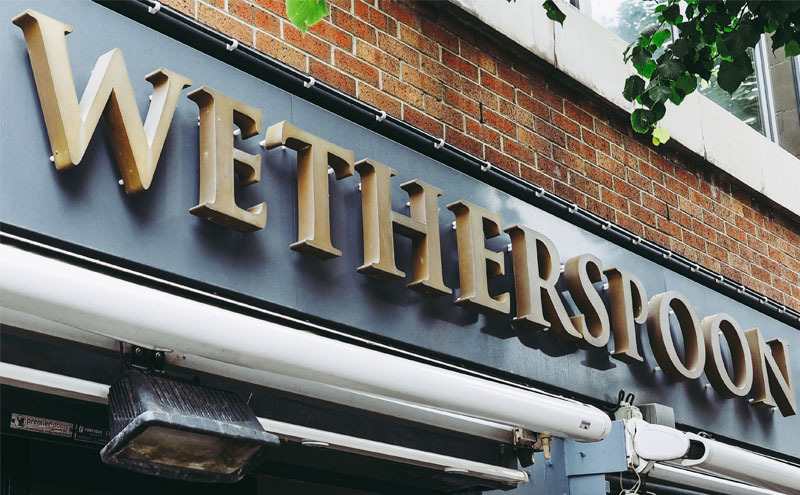 Wetherspoon opened two new pubs and closed six during the 26-week period, bringing the total estate to 879 units, with more than 70 in Scotland. “In the six weeks to March 10, 2019, like-for-like sales increased by 9.6%, helped by excellent weather this year and snow last year, and total sales increased by 10.9%,” said Martin. “As previously indicated, costs in the second half of the year will be higher than those of the same period last year.